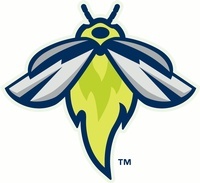 Partner Engagement - Columbia Fireflies - Feb 28, 2019 - Partners - Columbia Chamber of Commerce ? Join us for an evening of fun and networking at the Columbia Fireflies! Engaging our Partners is one of the primary goals of the Columbia Chamber. Providing opportunities for growth through networking is one way we accomplish this goal. Partners of the Columbia Chamber have the opportunity to gather with fellow partners in an informal setting that won't disrupt the busy workday. Partner Engagements are a fun and rewarding way to meet people from different industries and highlight your business after hours. The Columbia Chamber must maintain a cancelation policy for events in order to properly plan for catering, venue expenses and marketing efforts. Unless stated otherwise, Chamber reservations must be canceled 5 days prior to the event to be eligible for a refund, less a 50% processing fee. No refunds will be issued after the event. No-shows will be charged in full. Substitutions are welcome at any time. The Columbia Chamber works hard to ensure that every partner dollar is spent responsibly.